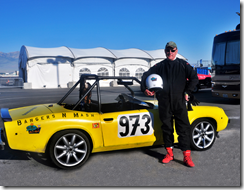 Neil Peart July 2014 update: "Bamm Bamm and the Lemon Slug"
This week, Neil Peart posted a story about driving in the July racing event, "24 Hours of LeMons," in Tooele, Utah. You can read the story at Neil's website, July 2014: "Bamm Bamm and the Lemon Slug". Your reporter poses with his full-face helmet and fireproof gloves, wearing his fireproof suit, socks, long underwear, and shoes (I know--red; they were out of black, see, and I thought, "Okay-I will rock those red shoes"). I am about to take my first driving shift in the "24 Hours of LeMons," in Tooele, Utah. (Pronounced "Too-ill-uh.") The endurance racing series, punning on the famous 24-hour race in Le Mans, France, was conceived around 2006 by journalist Jay Lamm. 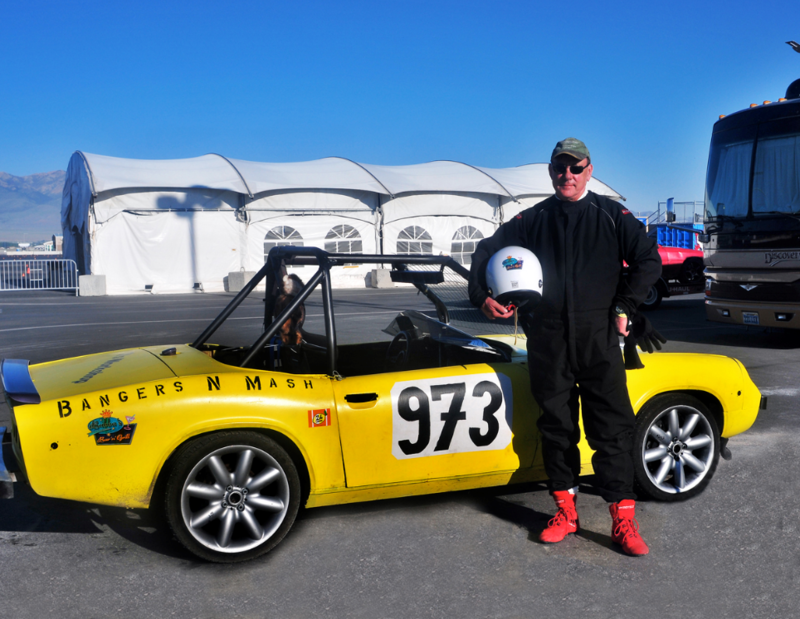 His mission was to give low-budget enthusiasts an opportunity to race--safely and humorously.